All eyes were set on JT Daniels. The true freshman quarterback who reclassified to come to USC a year early, had been hyped up since he committed to USC. It all came together in the second half, where No. 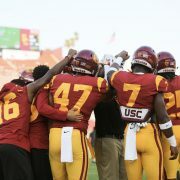 15 USC outscored UNLV 24-7 to take a 43-21 win on Saturday at the Coliseum in the season opener. Daniels struggled to put his experience into words. The first half was frustrating for the USC offense. Several long winded drives resulted in field goals. Daniels finished with 282 yards, completing 22 of 35 passes and one touchdown throw, a 43-yard connection with freshman wide receiver Amon-Ra St. Brown, who finished with seven catches for 98 yards in his college debut. USC drew first blood on a 46-yard field goal from sophomore kicker Chase McGrath. 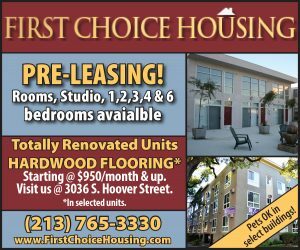 The Trojans started their drive after senior linebacker Porter Gustin recovered a fumble forced by redshirt freshman safety Isaiah Pola-Mao on the first play of the game. Pola-Mao, in his first start, filled in for sophomore Bubba Bolden who was removed from the starting lineup on Thursday. It wasn’t until USC’s third drive that Daniels started to look comfortable. Two big gains on receptions to St. Brown and redshirt sophomore Trevon Sidney helped move the Trojans down the field. However, the Trojans had to settle for their second field goal. The Trojans lead didn’t last long. Quickly after the Trojans second score, UNLV senior running back Lexington Thomas stole the lead back with a 71-yard rushing touchdown. The remainder of the first quarter was scoreless and USC trailed 7-6. The first breath of offensive life was sparked after a 73-yard kick return from Carr. An offensive pass interference call pushed the Trojans back 15 yards which prevented them from finding a first down. Once again the Trojans had to rely on McGrath to cut into UNLV’s lead. Contrasting UNLV, USC’s scoring chances came off long drives; USC’s first touchdown was no different. The 79-yard, eight play drive was concluded with a two yard rushing touchdown from Malepeai — the first of his career. At the end of the first half USC lead the Rebels 19-14. The chemistry between the two Mater Dei newcomers, Daniels and St. Brown, was evident as Daniels completed six passes to St. Brown at half while no other receiver caught more than two passes. The start of the second half for the USC offense was similar to the first: long drives ending in assistance from the special teams unit and inconsistent passes. The caveat for USC was that the defense was able to limit UNLV’s drives. Coming into the game, Helton and Co. knew that the dynamic ability of sophomore quarterback Armani Rogers would be a threat. For the most part, the USC defense did a solid job keeping Rogers within the pocket and preventing big gains. The fourth quarter opened with a bang as the dynamic Mater Dei duo connected on a 43-yard touchdown pass, marking their first collegiate touchdowns” on the first play of the quarter to extend the Trojans’ lead to 26-14. The following drive kept the fire burning. Following a overturned fumble call, Daniels targeted Sidney for a 41-yard gain to break into the red zone. Ware capped off the quick drive with a 15-yard run to extend the Trojans’ lead 33-14 and put the game out of reach. In the final minutes of the battle Malepeai drove in his second touchdown of the game to extend the Trojans’ lead by another seven points. Following the touchdown McGrath landed another field goal marking his fifth on the night and tying a school record. 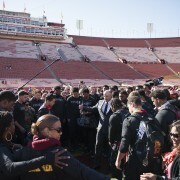 While the start of the game was rough, Helton was satisfied with the overall performance of his squad. 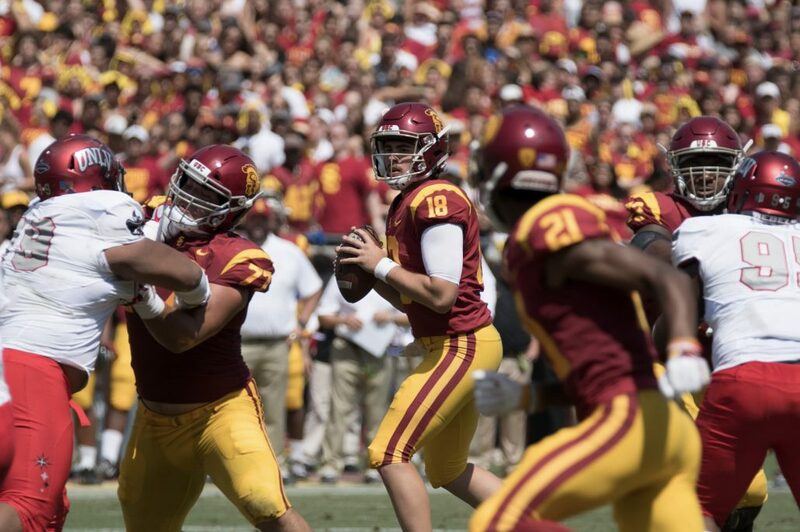 The USC Trojans will travel to NorCal for “The Weekender” where they will play No. 13 Stanford next week. The Cardinal and Trojans will both enter the game with a 1-0 record as they both compete for Pac-12 dominance.